As small businesses fight for search engine relevance in the ever-changing digital age, a new tool has come to the forefront of search results – the review listing. In the past nine months, we have seen review-related search results dominate for even the most basic search terms. For instance, just type in the term “Portland dentist” into Google. You will find the first two organic results are Yelp review pages, and the next six results are Google+ business listings with reviews associated with them. In fact, everything above the fold on your screen that is not an ad probably has something to do with a review. These types of search results lead us at Local Fresh to conclude that Google and the other search giants have tweaked their ever-changing algorithms to push the best-reviewed sites to the top of organic search results. Most likely, the search engines are merely following current consumer behavior patterns, as the increase of customer review sites aligns with how today’s customers are choosing their next meals, products, and providers. In Nielsen’s Global Trust in Advertising report, researchers found that online consumer reviews are the second most trusted source of brand information and messaging globally. A full 70 percent of consumers worldwide said they trust online reviews, an increase of 15 percent over the last four years. No longer do we just flip through the Yellow Pages and guess at which listings we think might be the best. Now we want to know from others just how the experience was on a personal level. Sites like Angie’s List, Yelp, Google+, Foursquare/Swarm and a plethora of others have made this information easily available for consumers to find via apps and simple interfaces. By scanning a few reviews and seeing easily digestible star ratings, customers believe the can make a more informed choice. And so, it looks like for now, does Google. As a business, the most important thing you can do is to have a process in place to help get those reviews up on the sites that matter most. First, this means creating and optimizing your business’ Google+ (now called Google My Business) listing and Yelp listing. (Just to clarify: no matter what you may have heard, you DO NOT have to buy any ads from Yelp to help improve your ranking.) You also need to optimize your listing on any other site that matters to your specific business. If you are plumber, for example, this might mean also including Angie’s List, while a food cart might want to also add themselves on Foursquare. You have to start with claiming the listing, and then adding all the relevant information using concise language that includes your primary keyword search terms. It also means uploading representative photos, a business history, and exact contact info, as well. Making sure your NAP (or Name, Address, Phone number) is same all across all your listings is also extremely important for your search results. Second, businesses should put a system in place where a follow-up email is sent to customers following every appointment, visit, or sale. 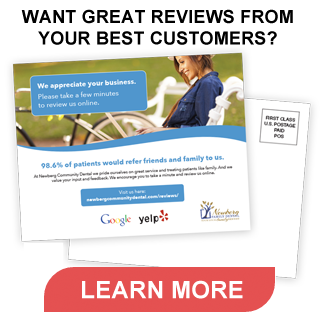 The email should prominently feature links to your business’ Yelp and G+ pages or to a review page on your website with text that encourages the customer to review you. This will provide customers with one-click access to the platform they feel most comfortable leaving a review with. Third, check on those reviews from time-to-time. Every month or so look for any new reviews and engage with any customers that had either a poor or outstanding experience. This demonstrates to customers that your business cares about every interaction, regardless of whether good or bad. But What About Bad Reviews on Yelp or Google+? While bad reviews about your business will occasionally pop-up, one of the best features review sites offer is the opportunity to publicly address the issue at hand. By responding to a negative review and engaging the dissatisfied customer on Yelp or G+, you actually present your business as caring more to the public at large. Even if you ask to move the conversation offline and resolve the issue in a non-public way, often the reviewer will make a note and append their review to show that you attended to their needs. Negative reviews can also point out serious flaws in your business or customer service processes that you may need to address. Don’t shy away from online reviews. Rather, make sure to engage both satisfied and dissatisfied customers in a professional and friendly manner. And while you may occasionally have to address a negative review left by a disgruntled employee or unscrupulous competitor trying to exploit the system, both Yelp and Google have good reporting systems in place to weed out such outliers. Since we all live by the adage that “It’s Google’s world , we just live in it,” reviews are currently one of the best ways to make an impact on both customer acquisitions and search results. By creating a process to get reviews and paying attention to your customers on these sites, you can not only rise to the top of the SEO pile, but also create lasting relationships with your customers.